I experiment on ideas for the fun and to learn new things from time to time. Once I run these projects for a while, I either open source or sell them. What this means is I get to transfer site assets and services to a new maintainer from time to time. This transfer can be a little tricky. While some services make it easy to do, it is difficult on others. Here is a how-to guide for some of the things I get to deal with. PS: This is not a definitive list. These are just some of the services I use for personal experiments. Namecheap makes things easy. 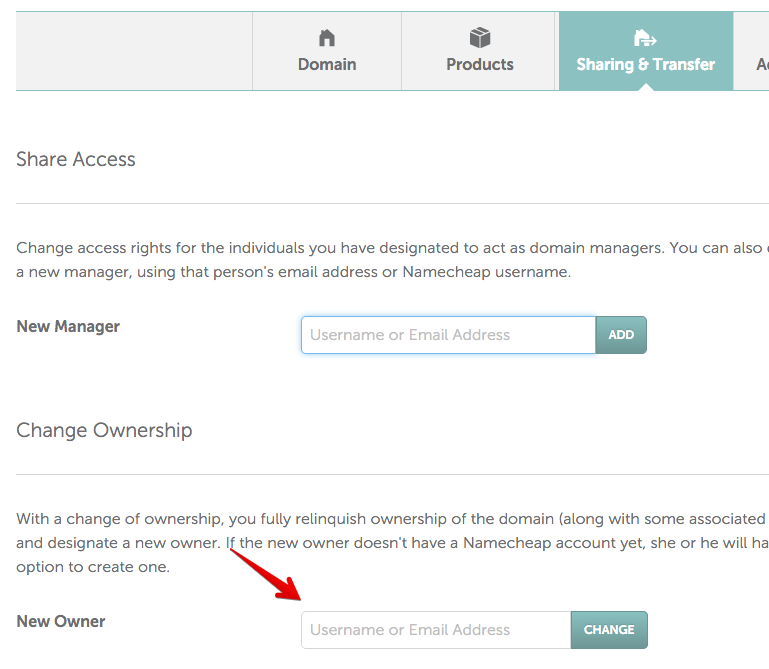 Note that transferring ownership to another user is different from transferring the domain name to another registrar. Enter new user’s email or username. I use DigitaOcean for my DNS. Transferring DNS on DigitalOcean is a pain especially when it’s a lot of settings. You will have to list out the settings for the new owner to recreate. You also need to delete the domain and DNS settings from your account before he/she starts. Bummer. 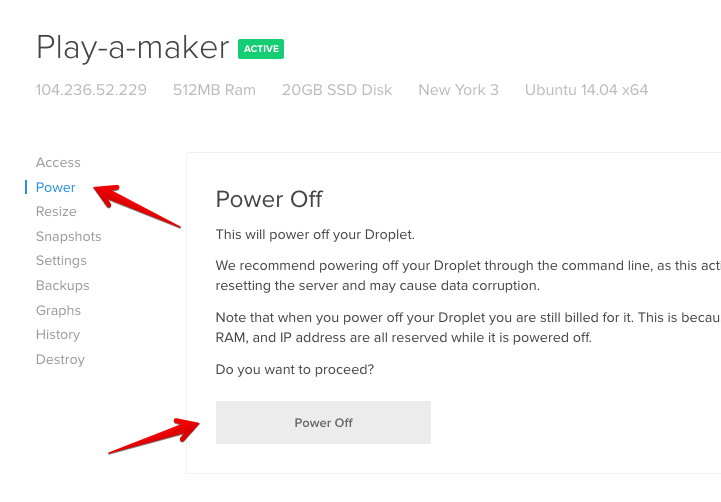 No easy way to transfer droplets between accounts on Digitalocean. One option is to change the account’s details to that of the new user. But for someone like me that runs an average of 5 different droplets in a single account, transferring the whole account because of a droplet is not feasible. The way to it is to take a snapshot of the droplet and transfer to the user. The user then creates a new droplet from the snapshot. Once done, you can delete the snapshot and destroy the droplet from your own account. Shameless plug: you can use my referral link m.do.co/c/921564962064 to create a new DigitalOcean account. You get $10 in credit. 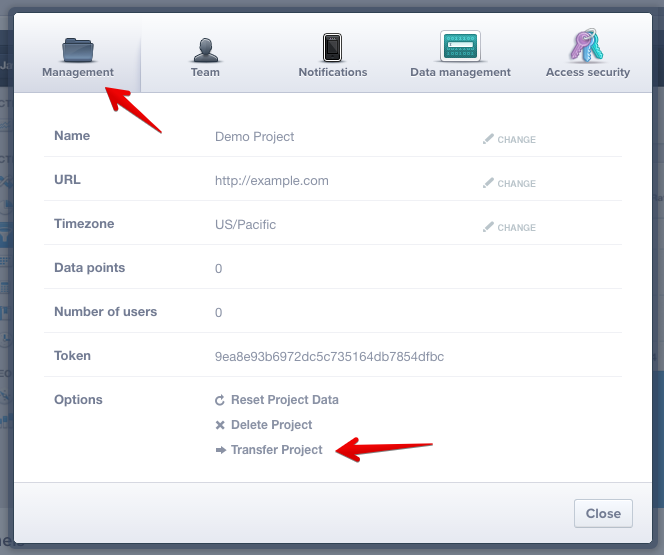 Transferring repos on Bitbucket and Github are the same process. Mailgun has a feature for adding new users to an account (available in Account settings for users that have their payment info on file) but the limitation is that the account owner, i.e you, cannot be removed. There are two options besides this. Update the account’s details-name, email to that of the new user. He/she can then login, update billing info and take over. Delete the domain from your Mailgun account. The new owner adds the domain to his/her Mailgun account, verifies and update other necessary settings. Ironio allows you share projects. But that gives both of you access to the project (the owner cannot be removed). 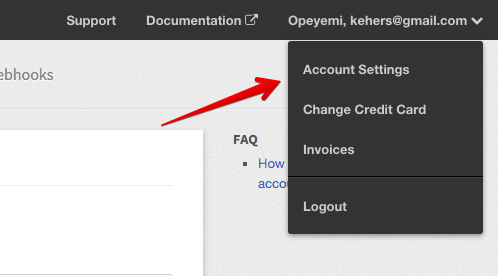 If the account has only the single project you want to share, you can change the account details to that of the new user. If like me you run an account with multiple separate projects, this won’t work. The new owner will need to create an Ironio account, create the project and replicate the workers and queues. 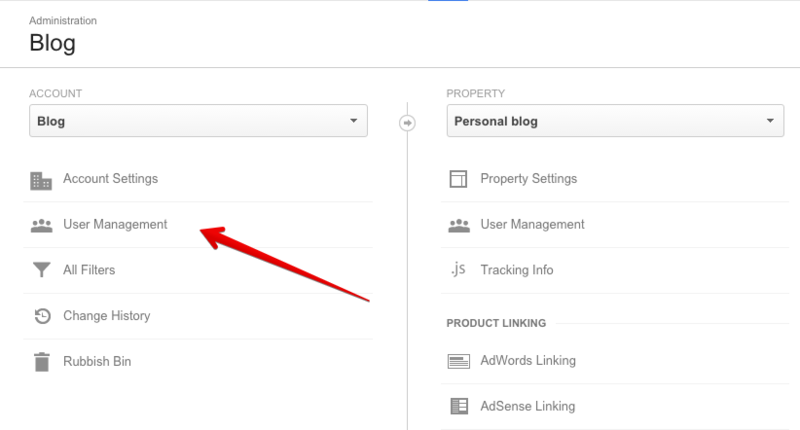 Transferring Google Analytics is straight forward. You add the new user to the account and remove yourself. Click Add user and add the new user’s email address. You may want to check Notify by email so that the user gets an email notification. 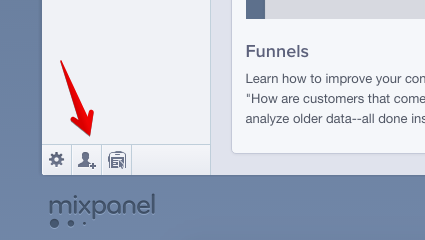 Click the Invite team member icon at the bottom of the page. It is small and easy to miss. Transferring social media accounts are simple. All you need to do is to change to a temporary password for the new user. He/She then updates to a preferred one. (As at the time of writing this) Instagram automatically logs out every app already logged in once the password is changed. This is a very good thing. Not like that on Twitter. 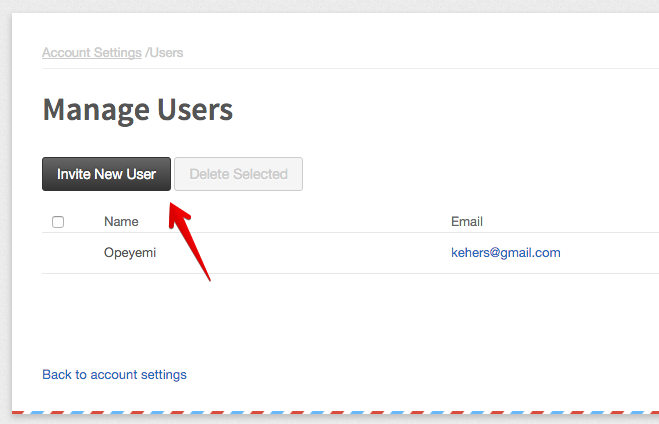 If it is a secondary blog, you can add a user to the blog and remove yourself. A secondary blog is any additional blog you add to your Tumblr account. Your default Tumblr blog is the primary blog. (See the difference here). Bad news is primary blogs can’t have multiple users. So you will have to change the account’s email to the new user’s email and change your password to a temporary one for the new user too. You can just change the account’s email details to that of the new user. Stripe will take it from there. 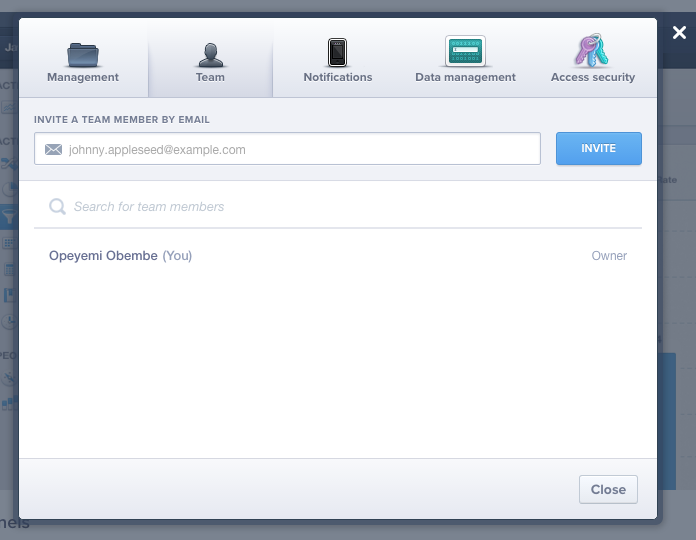 Another alternative is to add the person as a team member and transfer ownership to him/her. Enter the person’s name. Note that you must be friends on Facebook already. Sorry, no way to transfer Instagram applications. The new user will have to recreate the application and update the application key where necessary. One thing you must have noticed is that it is easier if you run a single project in an account. You can just change the account details to that of the new owner. Of course, this is not always feasible. It sounds crazy creating a new namecheap account for every domain name you want to register. Or creating a separate Github account for every repo you want to create. But if you know that you will eventually be transferring ownership of the project, and for a particular service transfer will be difficult, you can create a separate account for the project on that service. What I recommend is that for projects you will transfer, create a new email address and use that to register for necessary services. Just give the new owner the email, when the time comes. My recommendation for OAuth applications is that you create the application under the project’s account. If for example you created a project with the Twitter handle “waynecorp” and you need to create a Twitter application for it, create the application when logged in as “waynecorp” and not your personal account. When you need to transfer it to Batman, you just change the Twitter account’s email address and he will have ownership of both the Twitter account and OAuth app. One more note. Please conclude agreements and be sure you really want to go ahead with transfers. Once you transfer ownership of a service, that’s it. No undo; no turning back. That’s about all the services I could think of now. If I remember others, I will update. Feel free to add others in comments too.